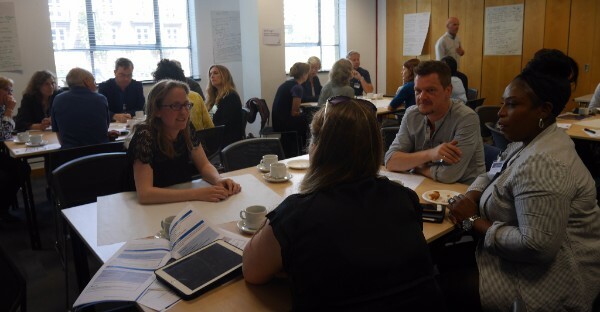 On July 5th NSPA members and supporters came together for our annual get-together at NCVO in central London. The day covered a review of NSPA activity over the past 12 months, getting input into future work, members presenting on their own activities and opportunities to network. • It’s been a good year for the alliance as set out in the NSPA’s presentation to open the event. 2015/16 has seen a 42% increase in NSPA membership as well as nearly 50 new supporters joining. The new post of ‘Membership and Communications Officer’ was filled and a new look newsletter was launched. A second national suicide prevention conference was successfully held at the Oval, along with taking on new collaborative projects such as developing guidance for local authorities in suicide prevention planning with Public Health England (PHE). The NSPA released a new three-year strategy and strengthened their partnership working with Support After Suicide who formally became a special interest group within the NSPA. • Helen Garnham, Suicide Prevention Lead at PHE, spoke in more detail about work with the NSPA and a wide range of stakeholders in developing guidance for local authorities in effective suicide prevention. The resource will be ready for publication in the coming months and provides stepped guidance on setting up a multi-agency partnership, developing a local suicide prevention strategy and action plan plus understanding local trends and data. Over the next 12 months PHE will be looking to deliver a series of ‘masterclasses’ around the country to support the resource, as well as taking forward recommendations from the Five Year Forward View for Mental Health. • A number of NSPA members, including Network Rail, Samaritans, Farming Community Network and Harmless, have been working on ideas for a campaign aimed at men for World Suicide Prevention Day 2016. 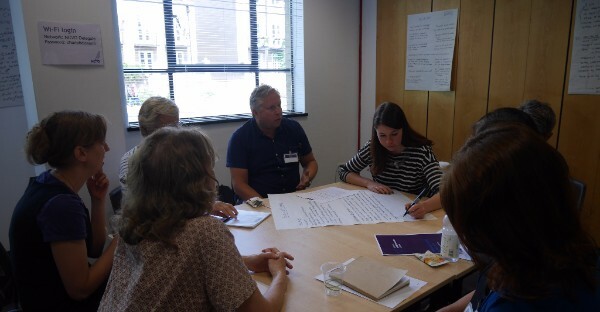 Some great ideas and feedback were gathered from the table-based discussion on the day, which will be fed into plans. More information to follow about how this campaign is shaping up and ways for members to get involved. • Mind talked about development of the resource ‘Responding to suicidal content online – best-practice guidelines’ which were launched earlier in the year. Mind collaborated with a number of NSPA members and drew on their experience of managing their online community ‘Elefriends’. The resource utilised an expert working group, the involvement of 28 different organisations, and included people with lived experience. Further work is now being done in ensuring that the resource is reaching its target audience. • The morning finished with a table based discussion on developing resources and information for our members, looking at the best parts of being an NSPA member, how we can improve, what members want to share and what they would like to see on the website. In the afternoon some of our members presented their work to the group. The Cheshire & Merseyside Public Health Collaborative (CHAMPS) talked about their experiences of looking at local data and the value of local suicide audits, allowing for local authorities to make more targeted approaches to suicide prevention. East Sussex County Council presented on ‘The Place of Calm’, developed as a place of safety to address aftercare issues and reduce Section 136 cases. Here people can spend up to 24 hours with practical and emotional support. The Royal National Lifeboat Institution (RNLI) talked about water-related suicides and their work; suspected self-harm are the third largest category of incidents RNLI responds to. RNLI are at the early stages of developing an organisational stance on suicide prevention, developing partnerships, and looking at how they can collaboratively contribute. Finally, Surrey & Borders Partnership Trust talked about building a new mental health hospital and their collaborative work with the local community. If members not in attendance would like copies of the presentations from the day, please email c.walker@nspa.org.uk. The results of the NSPA Steering Group election were formally announced at the Annual Members’ Meeting. Of the 10 elected positions on the NSPA Steering Group, there were five positions up for election this year. Competition for the positions was high, with eight members putting candidates forward. We also had a great response from the membership, with 66% of our member organisations voting. We are delighted that Network Rail and PAPYRUS have been re-elected to the Steering Group and welcome new members, Leeds Suicide Bereavement Service, Men’s Minds Matter and the Royal College of Nursing. You can find the full list of Steering Group members along with biographies on the NSPA website. We’d also like to take the opportunity to say a huge thank you to the British Association for Counselling and Psychotherapy and the Royal College of Psychiatrists for their invaluable contributions to the NSPA over the past three years. Both organisations have been instrumental in supporting the development of the NSPA and although they are stepping down from the Steering Group, will continue to be active members of the alliance. Minister of State for Community and Social Care, Alistair Burt has decided to step down. Following the recent changes in government, the Department of Health has three new Ministers, which has meant a change in their portfolios and responsibilities. The Secretary of State, Jeremy Hunt has decided he will lead on mental health. Nicola Blackwood has been appointed as Parliamentary Under Secretary of State for Public Health and Innovation, and will also hold responsibility for mental health and suicide prevention. NSPA continues to work closely with the Policy Team at the Department of Health. We will update members on any further changes to Ministerial portfolios relating to suicide prevention and mental health as we are able to. 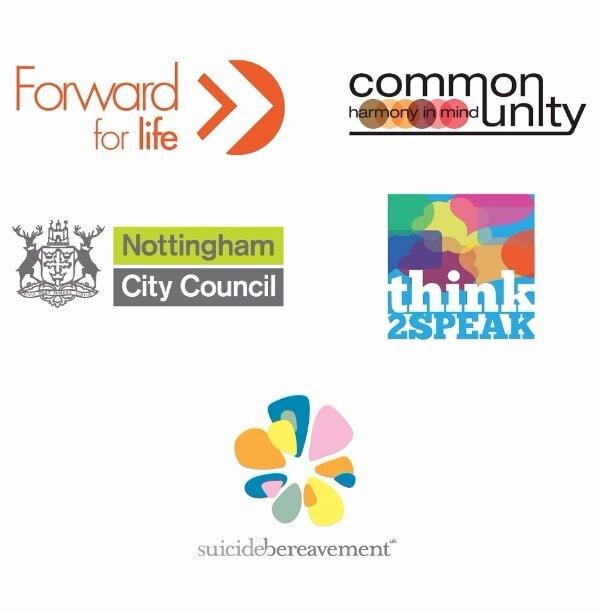 Since our last newsletter Forward for Life, Common Unity, Nottingham City Council, Think2Speak and Suicide Bereavement UK have joined the NSPA. If you'd like to learn more, click their name to visit their membership page. This month we’re featuring a Faculty of Public Health-award-winning initiative from Torbay Council. "Tom Chapman is no ordinary barber. When some people lose a friend to suicide, they find it difficult enough to cope with, but Tom realised that he was in a unique position in that his clients tended to confide in him whilst he was cutting their hair, and that whilst they were in his chair he could get to know them better and develop a bond. And he had links all over the country because of his barber colleagues. “So the Lions Barber Collective was formed. Now it has become an international collective with interest from all over the world, but basically it is a group of top barbers who have come together with the aim of raising awareness about suicide prevention. Through colleagues, Tom has links with PAPYRUS and Pieta House in Eire, but he is working really closely with Torbay Public Health with the goal of reducing male suicide in Torbay, which has an increasing number of male suicides occurring. “For Torbay Public Health this is a brilliant opportunity to undertake real public health in the workplace, and together with Tom we have been able to raise some funds to develop information leaflets, undertake customer surveys, and recently to pilot the first ‘Barbertalk’, a suicide awareness programme for barbers and hairdressers, which includes a virtual reality film that has been developed with the Hiblio team from Torbay hospital. From a trainer’s perspective, this was a challenge as it takes place in the Barber’s shop, with the mirror being a key player in the relationship. Encouraging the barber to notice body language-what the person is and isn’t saying, and importantly being able to provide information on options and local services comes naturally to Tom but the training tries to equip other barbers to be able to do the same. Realising the potential of using barbers’ shops to get across public health messages is another important part of the initiative and strength and Tom has had messages printed on stickers which are placed inside hair gel lids as an everyday reminder of a key statistic. The Lions Collective project won the Faculty of Public Health (FPH) Mental Health Award, and you can watch the FPH’s video about Torbay’s work to prevent male suicide here. Do you know anyone aged 16-25 who has experience of mental health problems and is passionate about tackling stigma around mental health? Young Champions are trained to tackle stigma and discrimination, from blogging for Time to Change and speaking at local events, to dispelling myths about mental health amongst friends. They will join a growing group of young people who are changing how we all think and act about mental health. Training will take place on 10th and 11th September in London and full details of the role are available online. Please pass this opportunity on to anyone you think might like to apply. Time to Change are also particularly looking to increase the number of male young champions. The House of Commons Health Select Committee has launched a new inquiry into Suicide Prevention. For those of you that may be interested in making a submission, the Committee is inviting written evidence with a deadline of Friday 9 September 2016. Oral evidence is expected to be taken in October. Further information and the terms of reference of the inquiry can be found here. The terms of reference have been published, and submissions to the Committee are welcome to address any or all of these points. Submissions should not exceed 3000 words and should be submitted using the online written submission form. The Health Committee membership has also been released. The NSPA will be making a submission to the inquiry and a separate communication about how to have a say in any joint response will follow. Further to the launch of the Mental Health Taskforce’s report ‘Five Year Forward View for Mental Health’, NHS England have published an accompanying implementation framework, outlining how the NHS and wider partners plan to take the required action to transform the provision of mental health. The document outlines the changes people can expect to see on the ground, as well as outlining the new funds that will be made available to Clinical Commissioning Groups. Read the full announcement from NHS England here. The group met to consider the local and national implementation of suicide prevention policy and Abigail Gallop, Senior Advisor at the Local Government Association (LGA), discussed some of the work they are doing to prevent suicide. She covered that councils are very interested in the ‘Zero Suicide’ initiative, but that there is concern it could lead to a blame culture when suicides do happen. The LGA has been working closely with the Government. They have inputted into PHE’s draft guidance which will be published shortly. They welcome the cross-departmental review and the refresh of the suicide prevention strategy which are expected, but cautioned that councils need resources to make change happen. Local councils are good at making the most of the resources that do exist through partnerships. They are doing much work on perinatal mental health, and will be launching a campaign before the end of the year. Rt. Hon Alistair Burt MP, Minister of State for Community and Social Care discussed his upcoming retirement from frontbench politics, which he had announced the day before the meeting. He plans to continue working on suicide prevention when he is no longer in post, and looks forward to passing on his knowledge to the new minister, including the importance of the APPG and the knowledge within the group. He referenced that the decision to leave the EU would mean that future resources are unlikely to be available but there is much more than can be done with existing resources. The Mental Health Foundation is welcoming submissions for the annual Janice Sinson Mental Health Research Award. The award will highlight key research contributions in mental health by post-graduate researchers. Submissions by the 11th of August at noon are invited from current full-time or part-time registered post-graduate students within the UK or those who have graduated in the last 12 months. The topic of research is mental health, including public mental health, children and older people’s mental health, severe mental illness and mental health of people with learning disabilities. The Mental Health Foundation would particularly welcome research that adds to knowledge about what works to prevent mental health problems. Eligibility and assessment criteria can be found online alongside details on the application process and the application form. The prize includes a blog, a news announcement on the Mental Health Foundation’s Website and a sum of £500 for the selected winner, whose work will be promoted by the Mental Health Foundation. A new study carried out by the National Confidential Inquiry into Suicide and Homicide has found that suicide deaths by mental health patients are actually lower at the weekend. The paper was published in the British Journal of Psychiatry. Watch a video of Professor Nav Kapor talking about the study. Queer Futures is a national study investigating the self-harm and suicide of lesbian, gay, bisexual, trans, queer and questioning (LGBTQ) youth. It is funded by the Department of Health Policy Research Programme and the research is being led by Dr Elizabeth McDermott, Senior Lecturer based at Lancaster University. 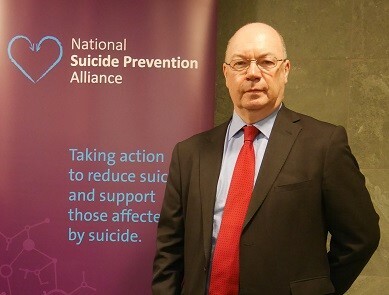 It aims to produce knowledge that can contribute to ‘the Government’s Preventing suicide in England’ (2012) Strategy. The study identified that more ‘research is needed on the ways that help can be provided and specifically designed for LGBTQ young people.’ There were many poor experiences with mental health services, who ‘were in the main found to be unhelpful. Queer Futures have called for ‘vital’ further research investigating why this is and how these services can be improved. You can read the summary here or visit the website for the full report. Laura Abbate is conducting this research as part of her undergraduate degree at the University of Liverpool, which is being supervised by Dr Kate M Bennett. Laura is seeking participants who are willing to discuss their experiences, thoughts, and emotions of being bereaved through suicide for a one off interview. Either face to face, by skype or telephone, which ever they participants are most comfortable with. The interview will be recorded and then transcribed, any personal information will be omitted and only initials will be used. Don't forget to take a look at the NSPA Events page. Samaritans, Incorporated in England and Wales, a Company limited by guarantee Registered Number 757372, and a Registered Charity Number 219432, having its Registered Office at The Upper Mill, Kingston Road, Ewell, Surrey, KT17 2AF, and a Charity in Scotland Registered Number SC040604. This email is from Samaritans. This email and any files transmitted with it are confidential, may be subject to copyright and are intended solely for the use of the person to whom they are addressed. If you have received this email in error, please advise postmaster@samaritans.org or telephone 020 8394 8300 and delete this message immediately from your system. Any opinions expressed by an individual within this email are those of that individual unless otherwise stated and do not necessarily reflect the opinions of Samaritans. Internet communications including emails cannot be guaranteed to be secure or error free. While Samaritans has taken steps to control the spread of viruses on its systems it cannot guarantee that this email (including any attachments) is free of any virus or other harmful matter and accepts no responsibility for any loss or damage resulting from the recipient receiving, opening or using it.